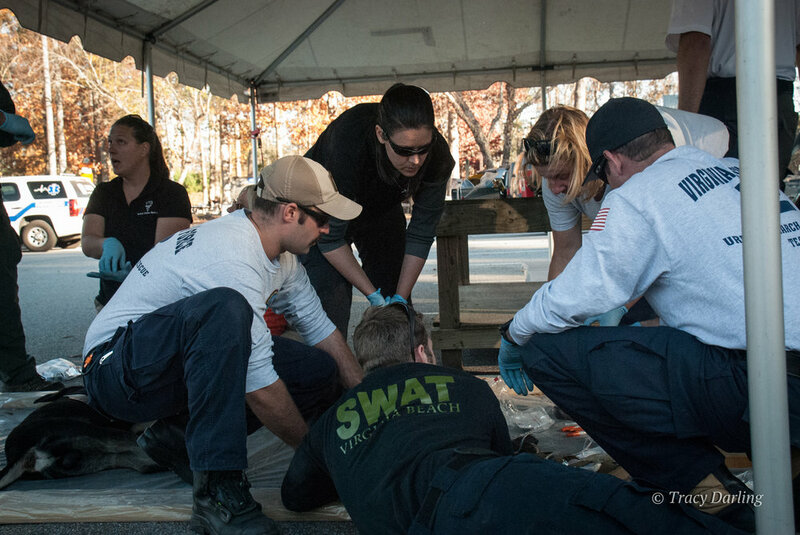 Disaster K9 teams from 9 states joined us for our first Workshop of 2018. 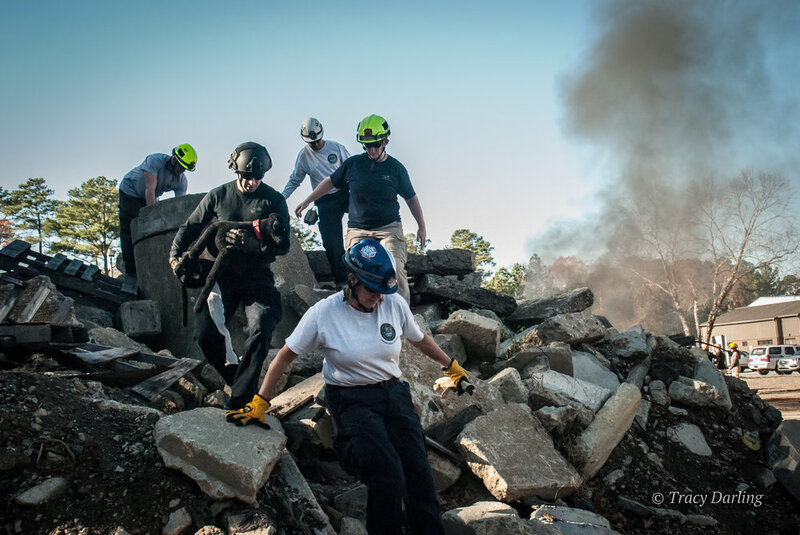 Registrants came together on March 20-21, 2018 to challenge their skills and learn from each other this week in Tulsa, OK at the US&R training site of OK TF-1. 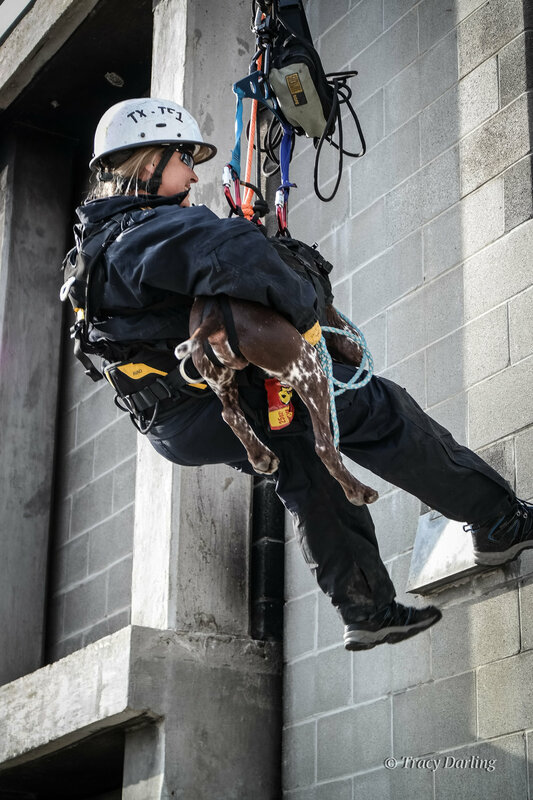 Search and Rescue K9 Handlers, and US&R Medical Specialists came together at the Ventura County Fire and Police Regional Training Center in Camarillo, CA to learn skills that may one day save the lives of one of their K9 team members. Our summer 2016 workshop in VA Beach was a great success! 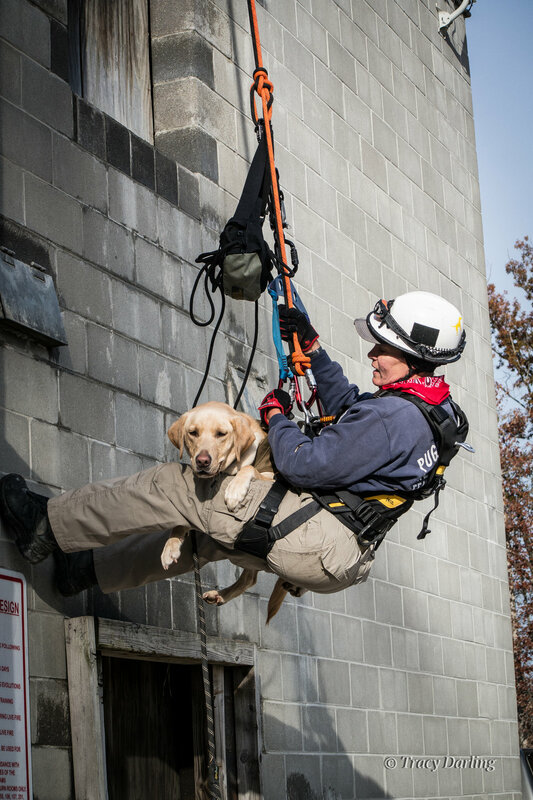 Handlers from all over the country came to test their skills at Virginia Beach Fire and EMS Training Center, one of the nation's level 1 FEMA disaster K9 certification sites. 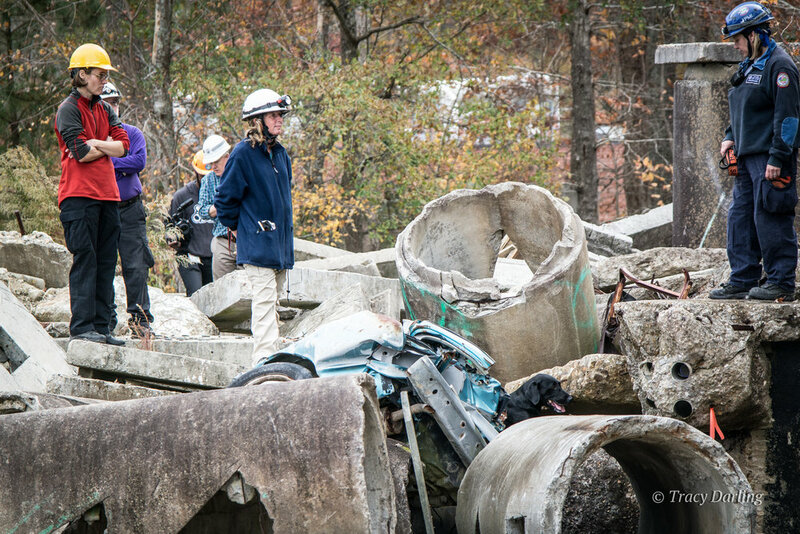 K9 teams from all over the country came together to test their skills in the detection of live people and human remains in a variety of disaster environments. 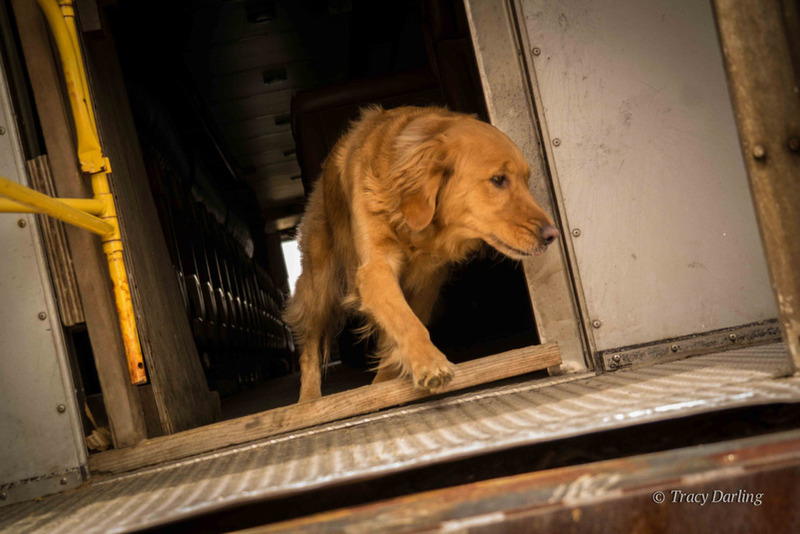 Superfit Canine’s very own Golden Retriever Wyatt and handler Eric Darling were deployed and tasked with locating the remains of victims of the Amtrak train derailment in Philadelphia this past Tuesday. 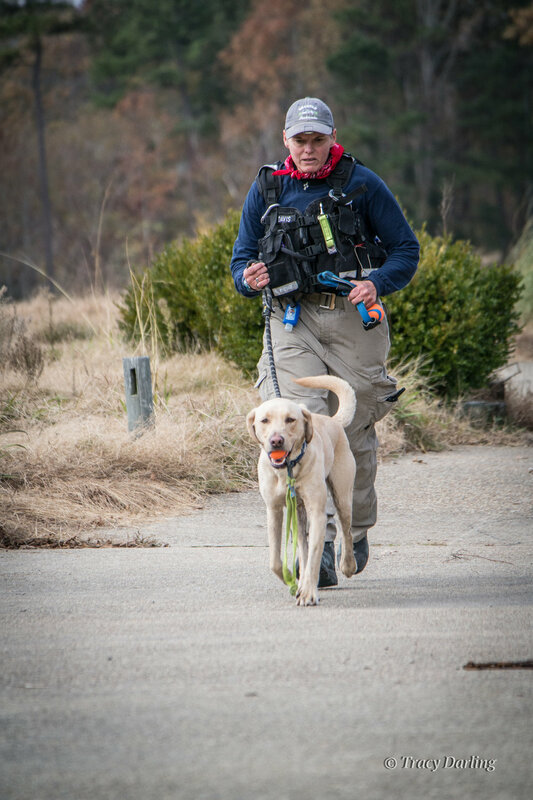 Along with teammate Labrador Retriever Pacy, a human remains detection K9 trained by handler Pat Kaynaroglu of the Penn Vet Working Dog Center, the dogs searched tirelessly throughout the night. Wyatt located the last remaining victim on Thursday morning. 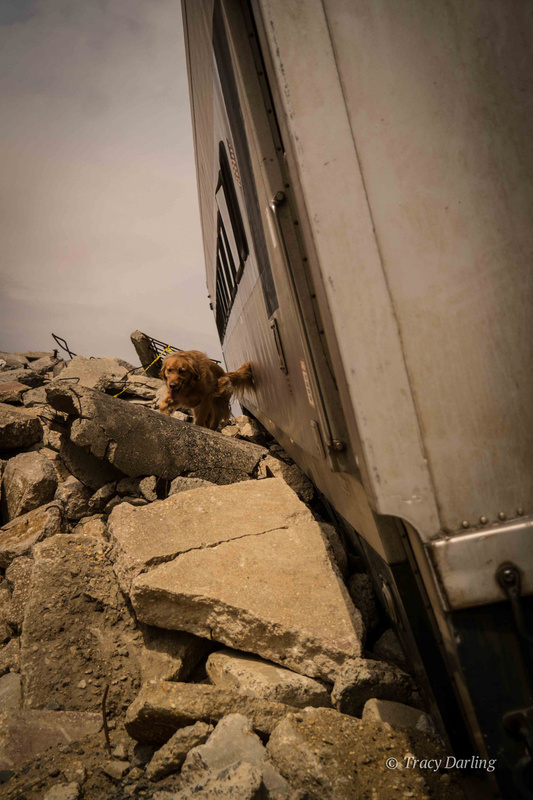 Disaster search dogs and their handlers train for thousands of hours and travel thousands of miles all over the country to simulated disaster sites. 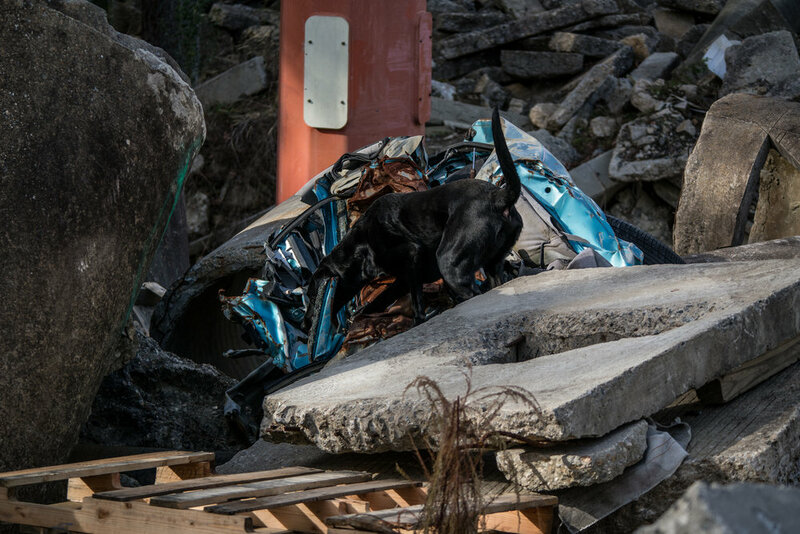 All to ensure that the dogs are prepared for whatever terrain or environment that they may be faced with during a disaster. Their goal? Everybody comes home. 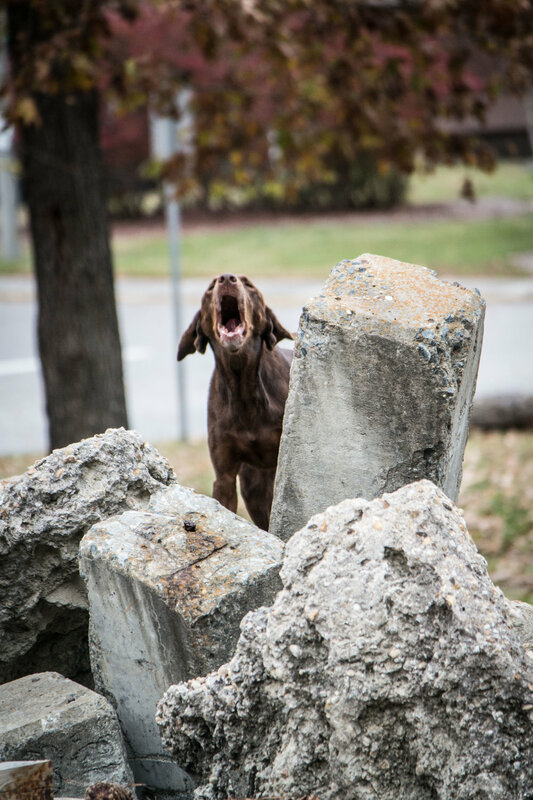 This adorable little pup may save your life someday. 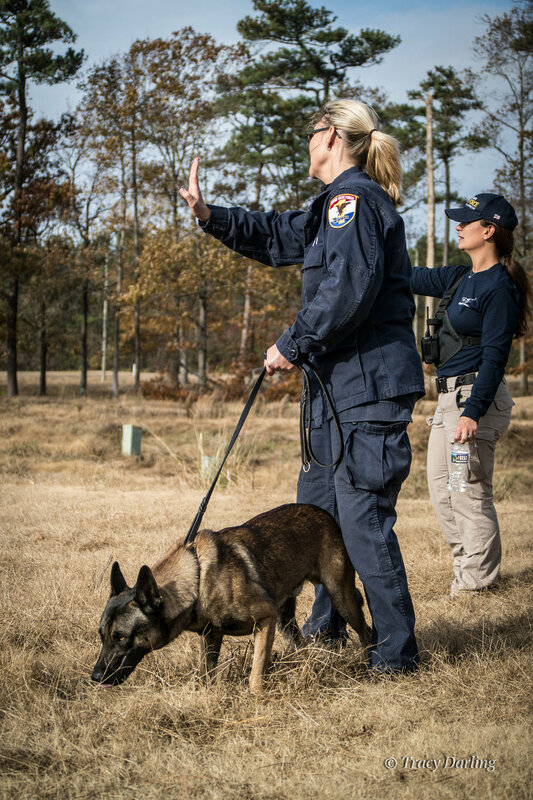 She is part of a program that trains dogs for detection jobs such as search and rescue, explosives detection, diabetes alert, etc.. 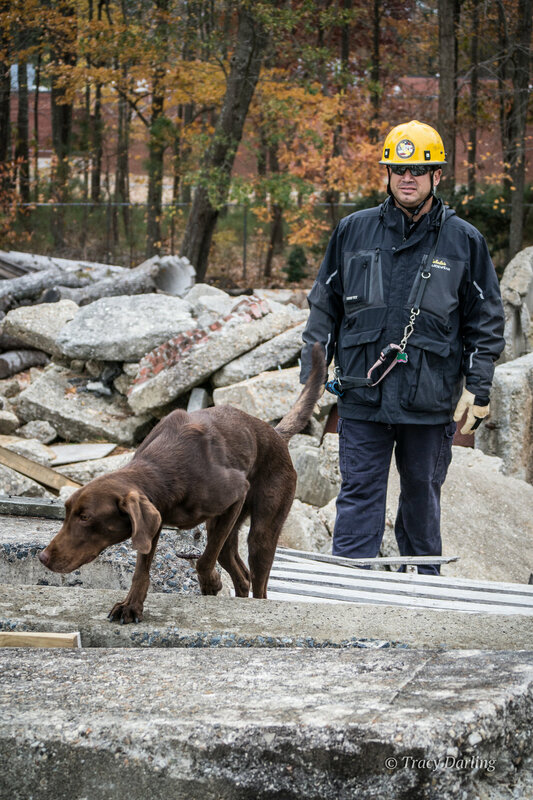 The pups are selected for jobs based upon their individual talents. 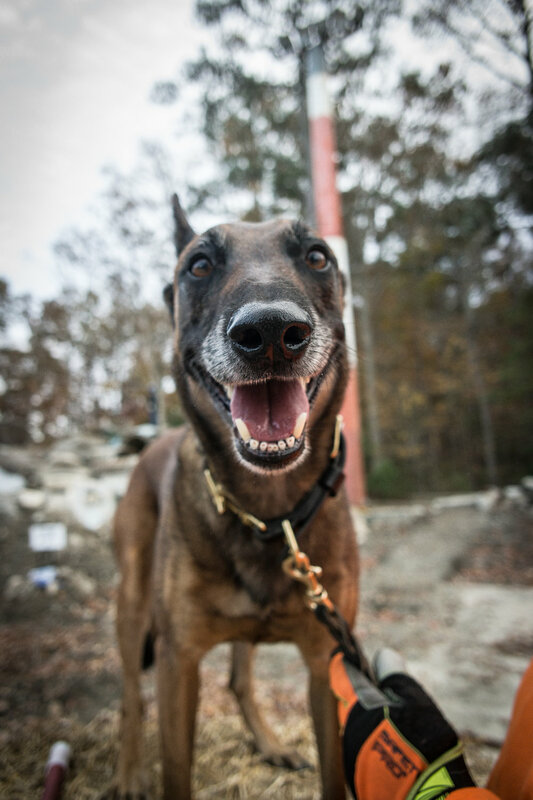 The right dog for the right job! We wonder what job she will choose!